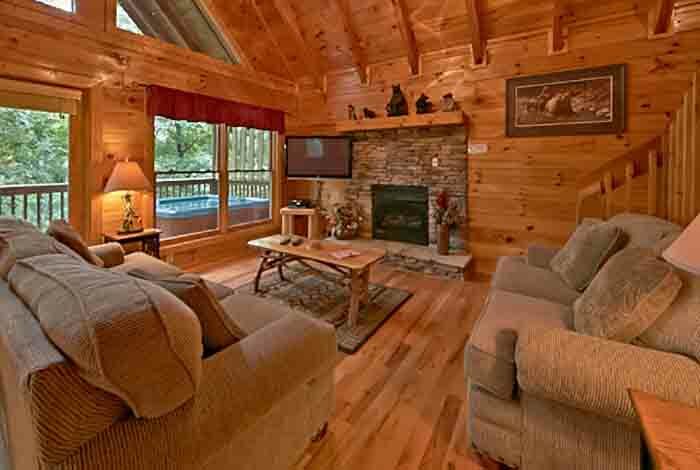 Planning your next vacation to the Smokies? 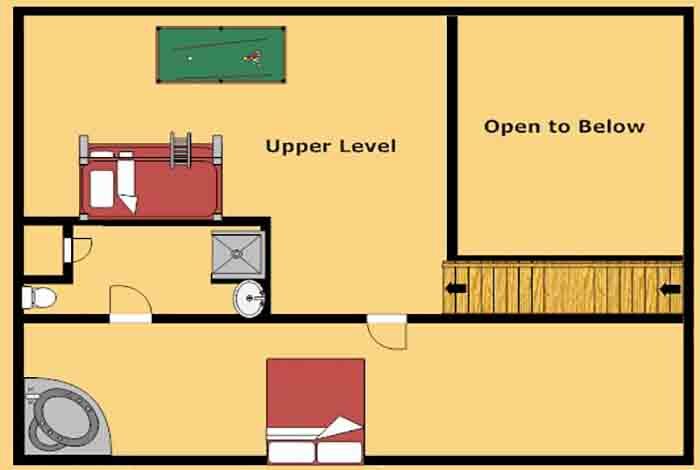 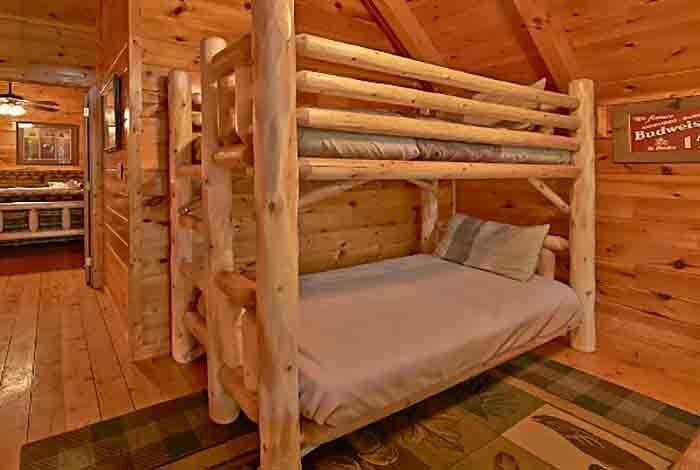 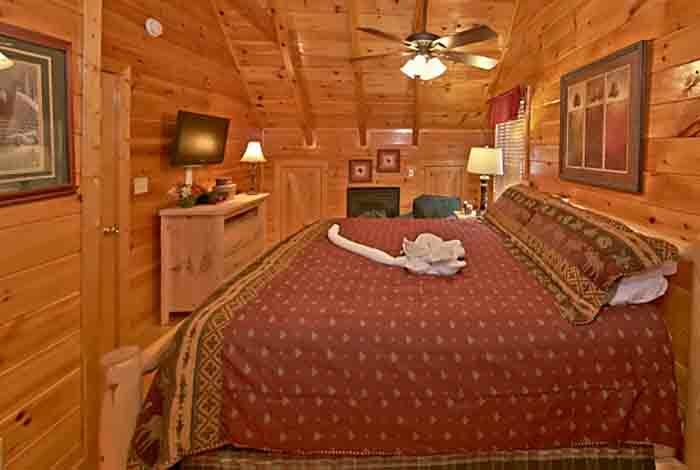 Bear's Lair is the perfect cabin for the whole family. 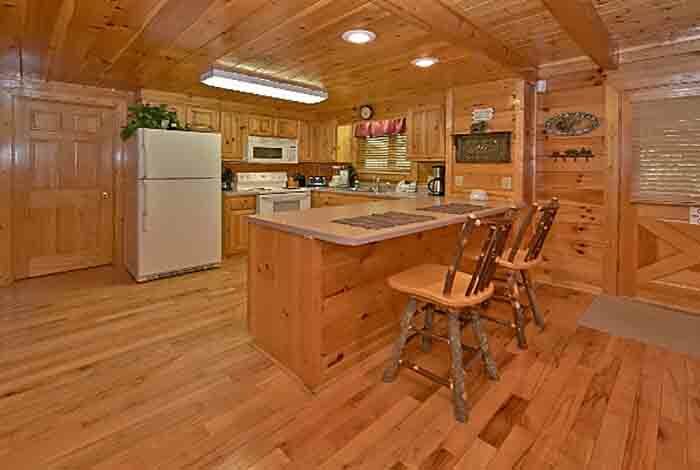 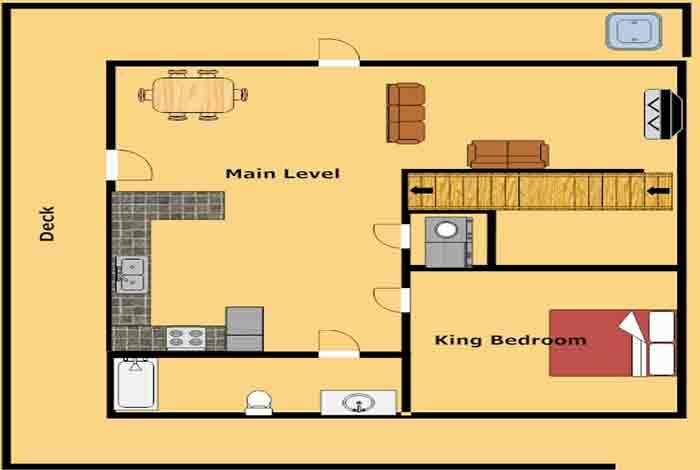 This 2 bedroom cabin sleeps up to 8 of your closest family and friends. 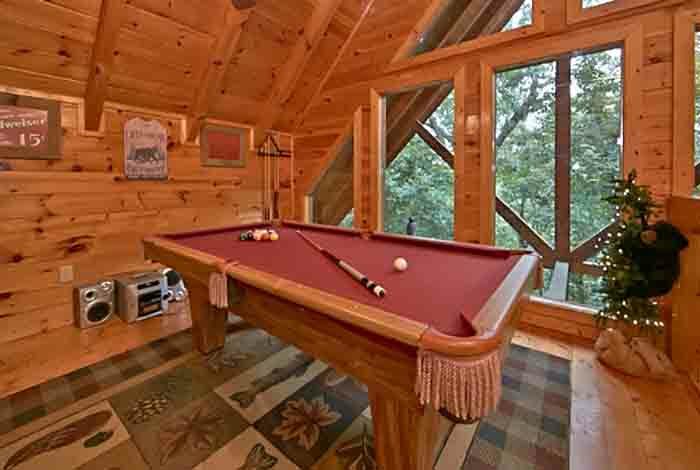 Keep the kids entertained with the games like PS2 and Xbox. 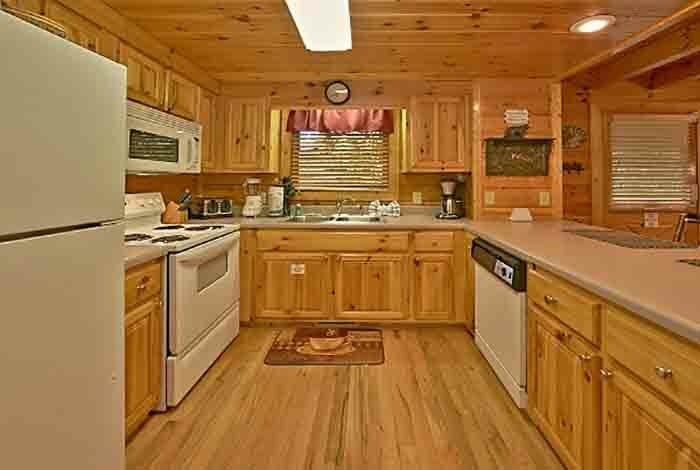 Have a fun night with the family singing on the Karaoke Stereo inside your cabin. 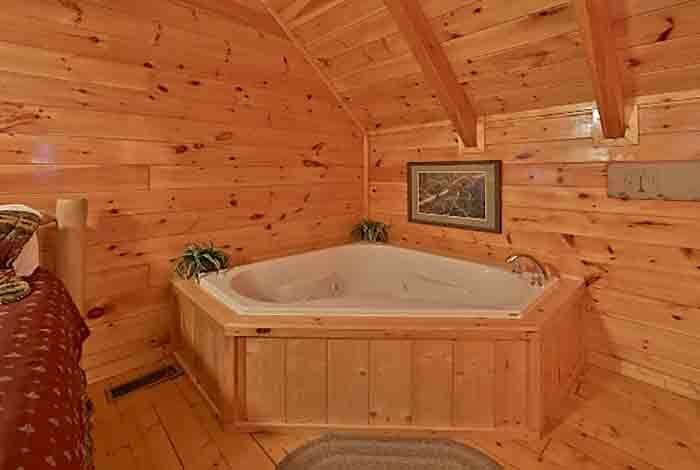 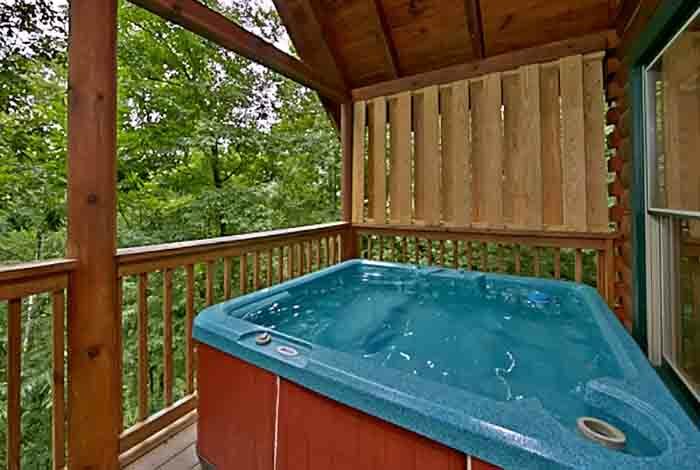 Kick back and relax in the hot tub on the deck while you take in the lush wooded views. 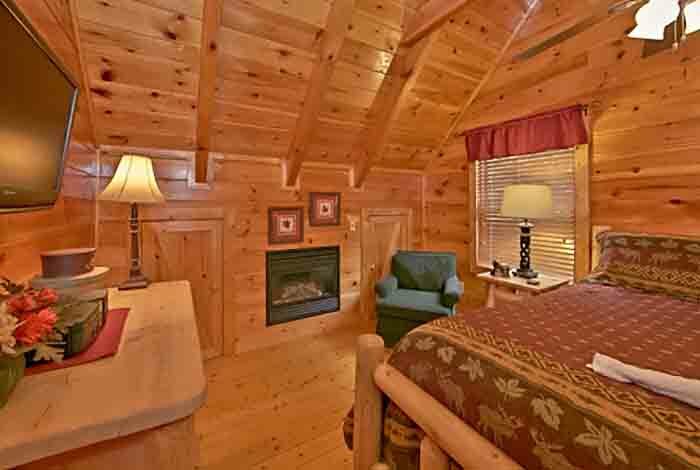 In those cold winter months turn on the fireplace and snuggle up with that special someone. 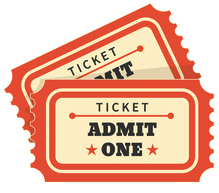 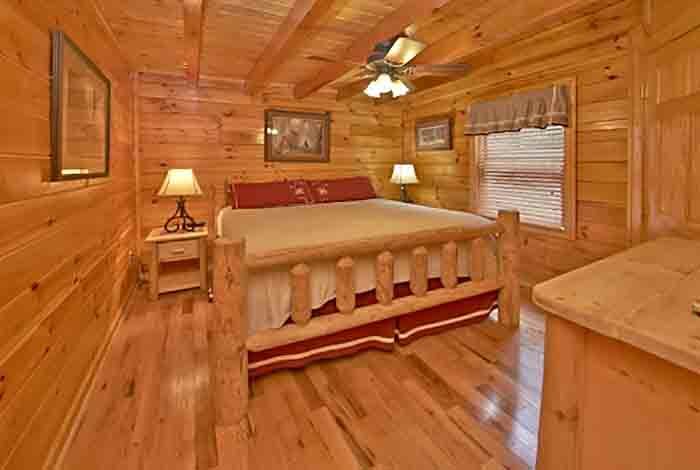 Just a few short minutes from Pigeon Forge you can spend the day in Dollywood taking on the exciting roller coasters. 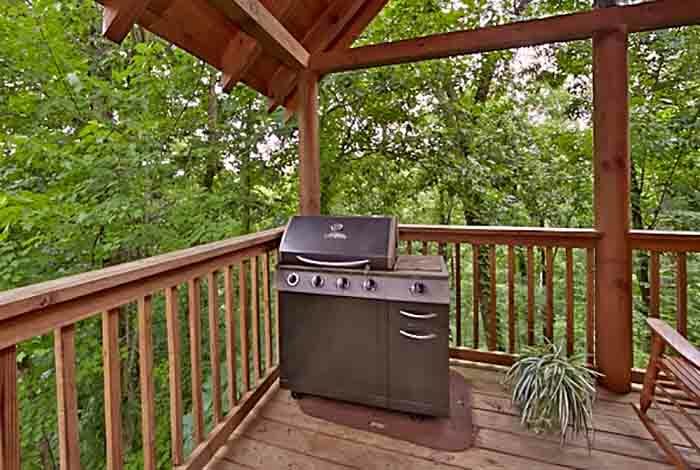 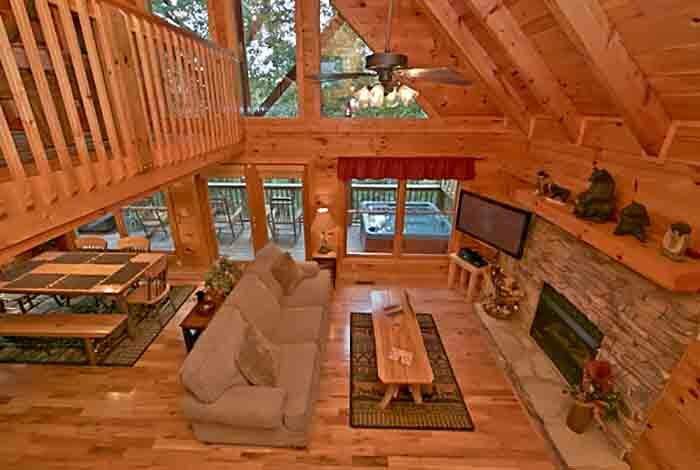 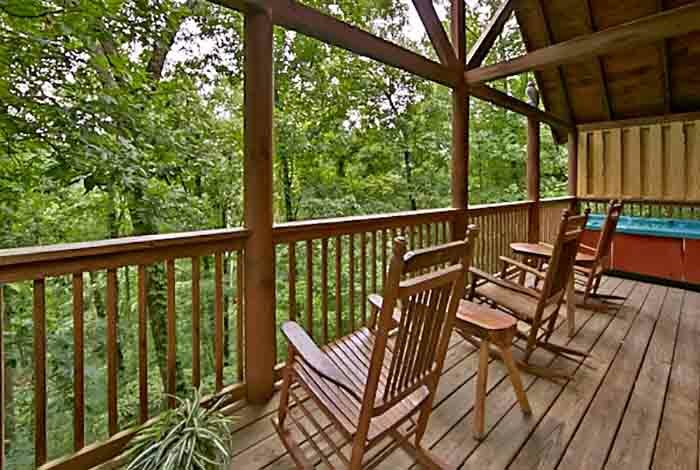 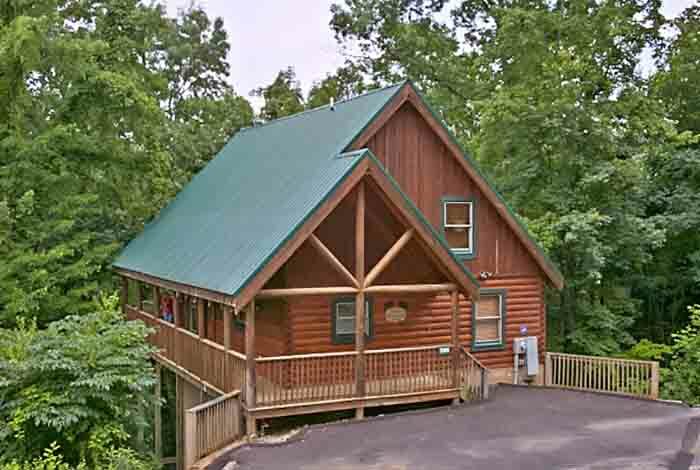 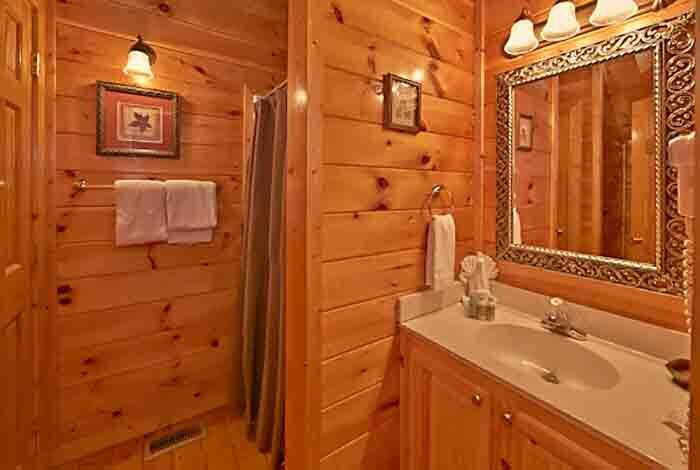 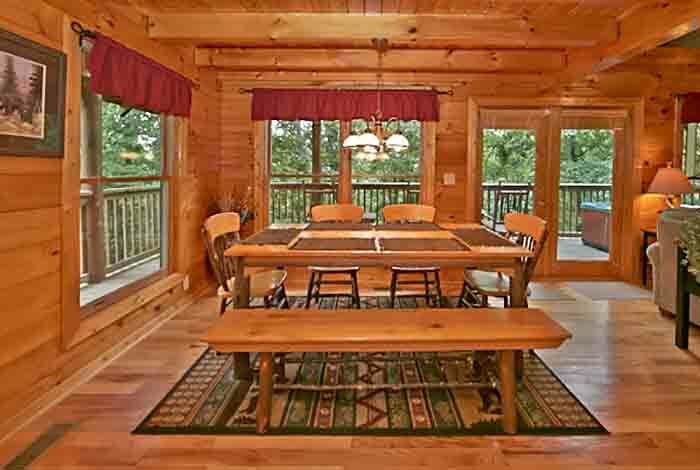 Make Bear's Lair your new home in the Smokies.